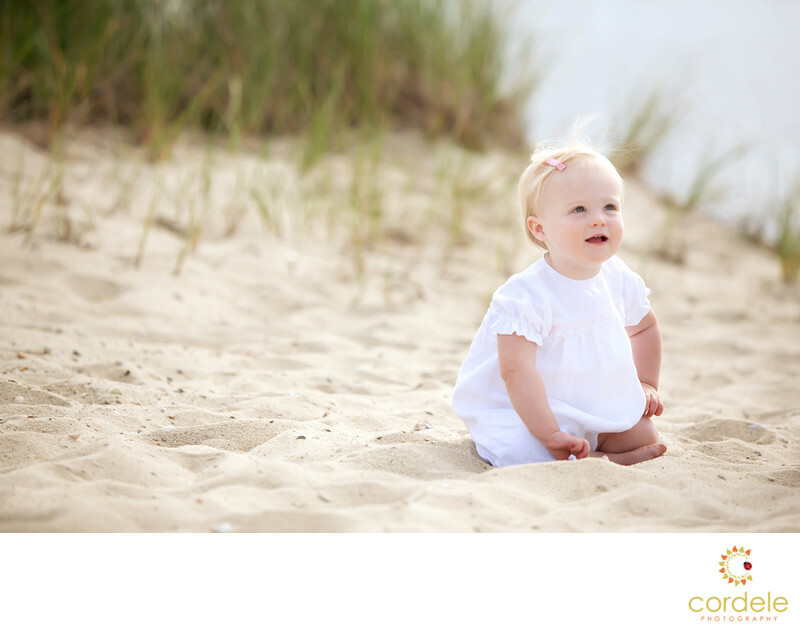 The Beach seen here in this baby portrait is on the Cape in Chatham Massachusetts. It is the perfect location for summer portraits featuring the tall seagrass and ocean in the background. Located just east of Harwich Massachusetts, Chatham is home to a variety of sea life and beautiful beaches. The area has been under attack by the Atlantic ocean during many winter storms and hurraicanes. The breakwater use to protect the area, but there is now an opening putting homes at risk. Chatham is a beautiful place to visit in the summer and have your family portrait taken. Keywords: Beach portraits (3), cape cod (6), chatham (3).